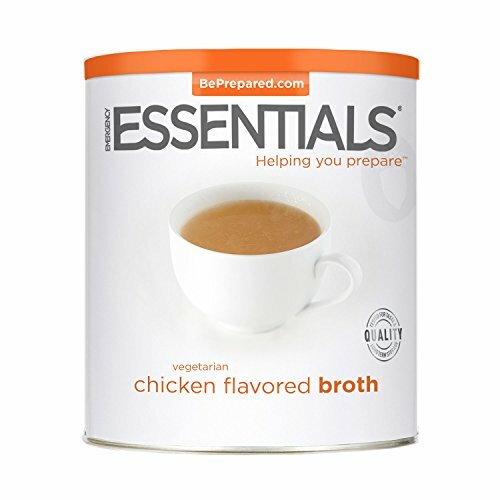 Emergency Essentials vegetarian chicken flavored broth is a versatile ingredient packaged for long term storage, so you can use it now or years from now. Add flavor to your emergency food storage. Fantastic for soups, stews and other recipes that may call for chicken broth. Packaged with an oxygen absorber in a #10 stainless steel can that is double-enameled to prevent aging and rust.